Former Vice President, Pension Investments, NAV CANADA. Mr. Fahey was NAV CANADA’s Vice President, Pension Investments from September 2010 until January 2016. In this role, he led a team that was responsible for designing and executing the investment strategy and controlling the risk associated with NAV CANADA’s defined benefit pension plans. Since his retirement from NAV CANADA he has continued to devote time to the volunteer sector and various investment management activities. 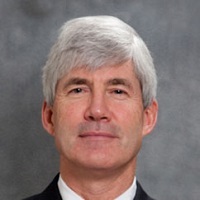 Prior to joining NAV CANADA, Mr. Fahey was a founder and managing partner with Aurion Capital Management, a Toronto based institutional investment counseling firm. In this role he was responsible for all aspects of fixed income portfolio management for Aurion’s institutional clients. He was also a member of Aurion’s senior team responsible for strategic direction and firm management. Prior to joining Aurion in 1994, Mr. Fahey was the Vice President, Fixed Income at Barclays McConnell, a Toronto based institutional investment manager. Mr. Fahey holds a Bachelor of Commerce degree from McGill University and a Masters of Business Administration degree from Concordia University. He also is a Chartered Financial Analyst charterholder. Paul is the Chairman of IPSOL Capital, an independent Montreal based investment management firm. Paul is also the Chairman of the Independent Review Committee of Canso Investment Counsel, a Richmond Hill based investment management firm. Additionally he is a director of Community Living Oakville, a social services agency that provides support to people with developmental disabilities and he serves on the Investment Committee of the Oakville Community Foundation. He has also served as a member of the executive committee of the Toronto CFA Society and the CFA Institute’s Presidents Council.